Our thoughts and prayers are with the family of Lloyd O. Pierson, who passed away on Saturday, April 14, 2018. Mr. Pierson served as President & CEO of the U.S. African Development Foundation (USADF) from 2007 to 2012 and guided the agency to provide economic development assistance to Africa’s most poor and vulnerable populations. Appointed to senior Administration positions by three U.S. Presidents, he will be remembered as a distinguished civil servant whose careers spanned five decades, serving in posts at U.S. Agency for International Development (USAID), Peace Corps and the U.S. African Development Foundation. In 2004, he was appointed by the President and confirmed by the Senate to serve as the Assistant Administrator for Africa at USAID and as a public member of the USADF Board of Directors, positions he held until 2006. He served as Chief of Staff/Chief of Operations at Peace Corps and was a Peace Corps Country Director in Ghana, Botswana, Namibia, and Swaziland. Under Mr. Pierson’s term as President & CEO from October 2007 to December 2012, he oversaw the USADF country program openings in Burkina Faso, Malawi, Mauritania, Somalia and Zimbabwe. 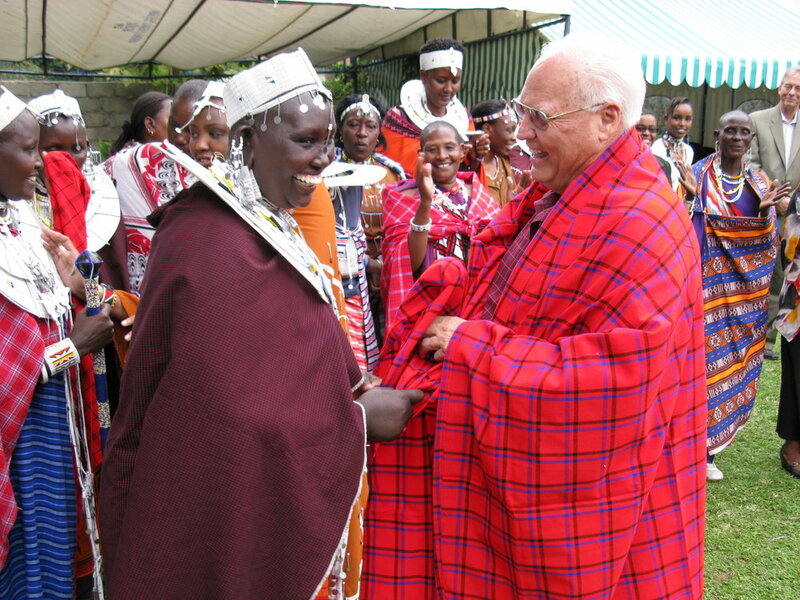 He also oversaw the re-entry of USADF into Kenya for the Turkana Food Security Initiative, and encouraged young professionals in their careers, especially to work on Africa-related issues. Under his leadership, USADF awarded 950 grants, totaling nearly $100 million in funding to community groups spanning 28 countries across Africa. These grants impacted millions of people, providing the tools and resources to help community groups and enterprises create sustainable jobs and better incomes for families. Mr. Pierson is survived by his wife, three sons, three daughters-in-law, and two grandsons, and was a proud Texan to the end of his life.